Merit Badge University is an event where Section 30 of Alpha Phi Omega holds classes for Front Range area Boy Scouts in various merit badges. We typically offer over 30 different merit badges every semester. This event has been held at the University of Colorado Boulder campus for 25 plus years. 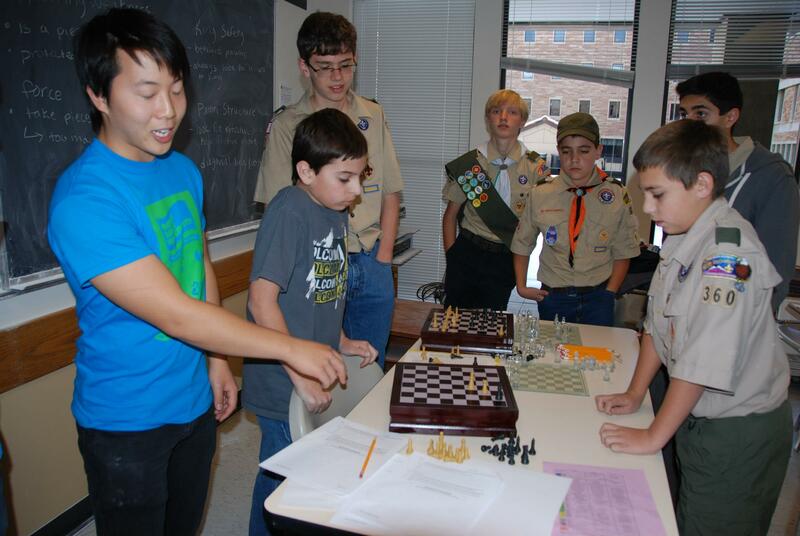 The event attracts over 400 Boy Scouts and 40-55 college student volunteers from APO Chapters throughout Colorado. Tyler teaches Boy Scouts chess merit badge!